Manikarnika: The Queen Of Jhansi is an 2018 upcoming epic biographical film based on the life of Rani Laxmibai of Jhansi. Bollywood actress Kangana Ranaut is playing the title role of Rani Laxmibai in the film. Manikarnika is directed by Krish who is known for directing Allu Arjun’s Vedam (2010), Akshay Kumar’s Gabbar Is Back (2015) and Nandamuri Balakrishna’s Gautamiputra Satakarni (2017). Zee Studios is bankrolling this big budget prestigious project which will release in the second half of 2018. Manikarnika will be released in Hindi, Telugu and Tamil. The movie is based on the life of Rani Laxmibai of Jhansi. Manikarnika story revolves around Rani Laxmibai’s war against the British East India Company, during the Indian Rebellion of 1857. This highly-anticipated epic movie is being made on a huge scale. Manikarnika budget is around Rs 75 crore. Manikarnika was expected to release on April 27th 2018 but later it got postponed to August. 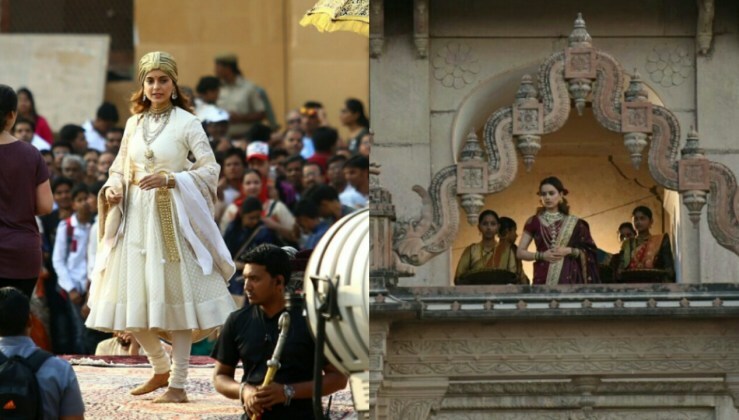 Now, Manikarnika release date has been pushed ahead once again due to the incomplete VFX work. Manikarnika has now huge chances to release on September 28th. The makers will announce a final release date soon.